I was aware that up to Oracle 11g, a PL/SQL program wasn’t allowed use an associative array in a SQL statement. This is what happens when I try to do it. As you can see, the TABLE operator is expecting either a nested table or a varray. The limitation has been removed in Oracle 12c. This is what happens now. Here’s another example using a slightly different query. Recently I had to solve the same problem described in 11g, the solution is to create a type in the database, like “create or replace type …. “, it works. But having this solved in 12c makes things much better. Are you sure you didn’t use a nested table or varray instead? I have the same version. What do you mean by doesn’t work? Do you get an error? It’s a nice (and long overdue) addition to PL/SQL. Unfortunately, PL/SQL types still do not appear to work with standalone SQL. The views or opinions expressed on this blog are my own and do not necessarily reflect the views or opinions of my employer. The views or opinions expressed by visitors on this blog are theirs solely and may not reflect mine. Which SQLcl build am I running? 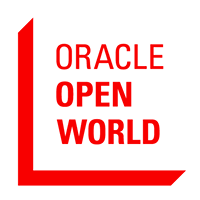 My Data Model Checklist book is now available in Spanish – Just in time for #OOW14!